The public speaking course will be given by Herman Otten. Herman graduated as an actor at the Utrecht School of Performing Arts in 2008. After he worked a lot as an actor for film, television, theatre and radio he is specialised in teaching his public speaking class. He helped hundreds of people to get rid of their public speaking anxiety and motivated over a thousand people to improve their public speaking skills. His head office is bases in Amsterdam, The Netherlands. Every week he gives his public speaking training group course for individuals. 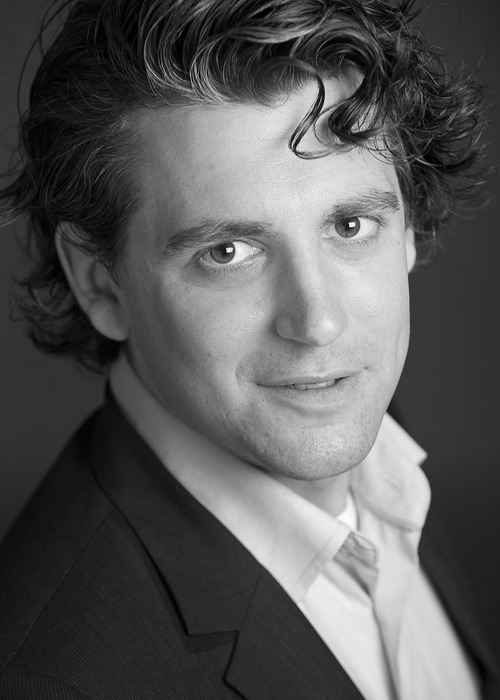 He works as a permanent public speaking in-company trainer and coach for the Dutch Marines, Department of Neurology at the Amsterdam Academic Hospital and many more companies. Since 2017 he gives his group training for individuals in New York City at the Magnet Theater Center. Herman’s life goal is to help people as quick and effective to get rid of their speaking anxiety and he does this for many years with great success. What a valuable evening! I learned a lot. Not only did I discover my neutral ‘self’ but also the practical tips are very useful. It actually works! I could immediately notice it when other participants were speaking. Taking pauses, looking around and even (from my perspective) yelling. If you want to fine tune your skills or if you are starting as a beginner, Herman’s course is for you! I recommend it to anyone who’s interested. Thanks a lot Herman! What an enjoyable training we followed at our languages institution last Friday. Herman gave a workshop public speaking for our team. It was fun, enjoyable, humorous, relaxed, inspiring and above all very instructive! That’s exactly what our organisation stands for! Thanks Herman!